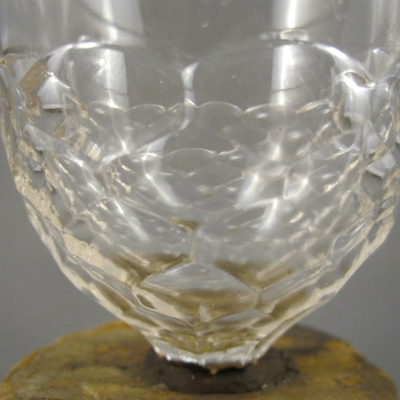 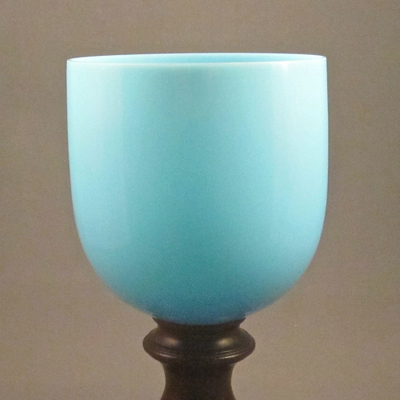 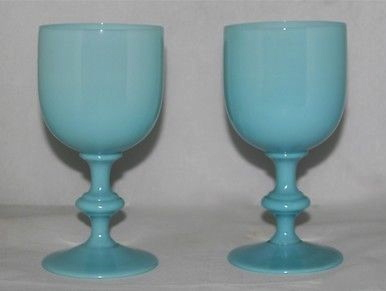 What looks like a glass goblet is actually a sugar bowl. 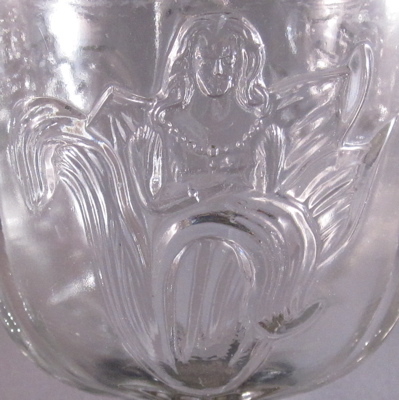 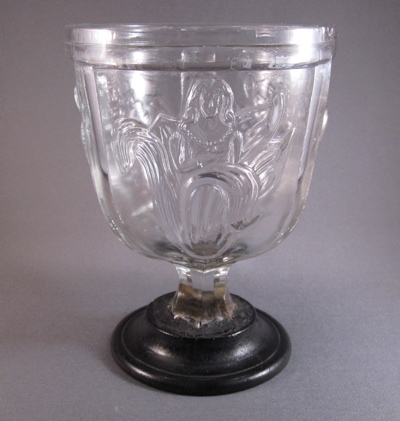 Made in the mid 19th century by the McKee Glass Company of Pittsburgh, Pennsylvania, this EAPG (Early American Pattern Glass) stemmed sugar bowl is made of flint glass and has a raised “Girl of Lily” pattern, also called “Eve” and “Little Eva”, on three sides. 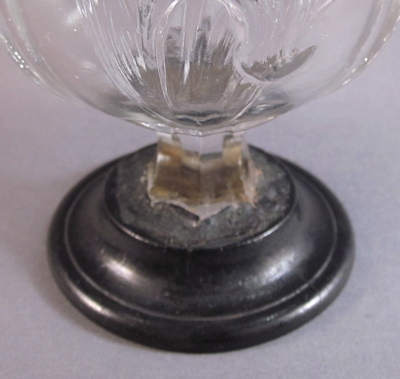 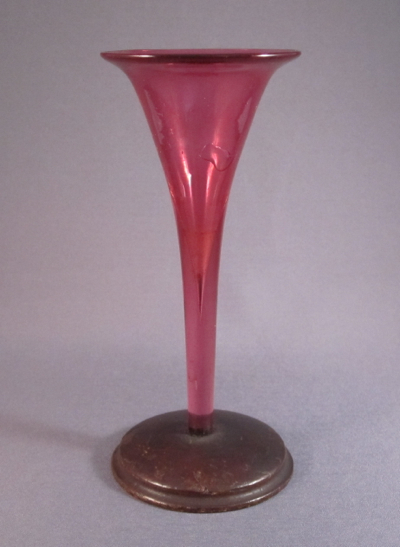 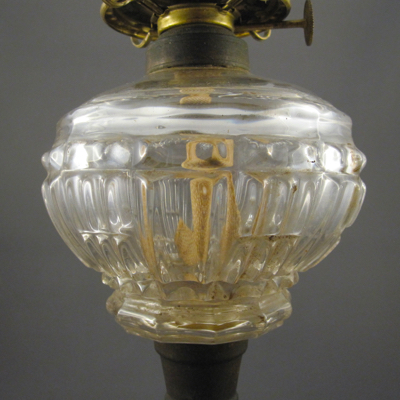 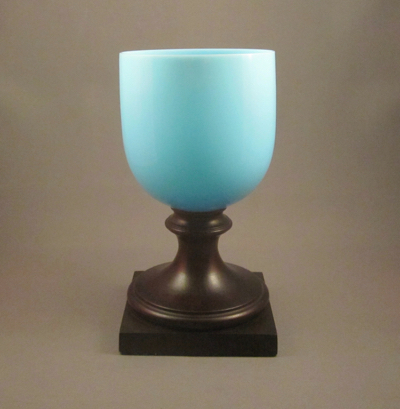 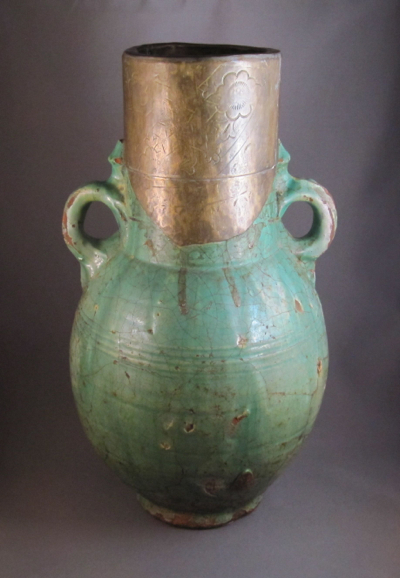 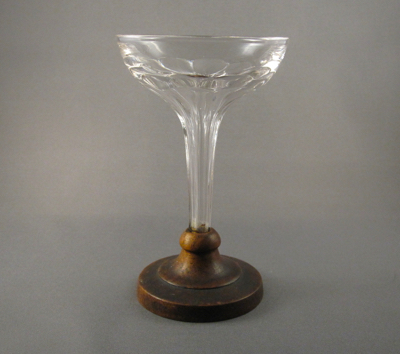 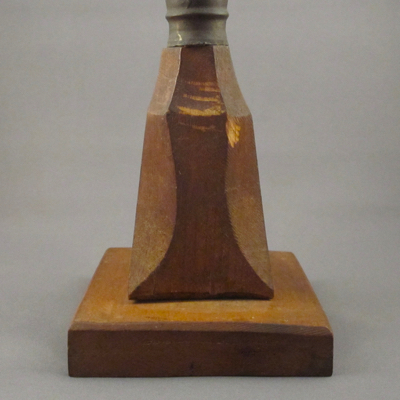 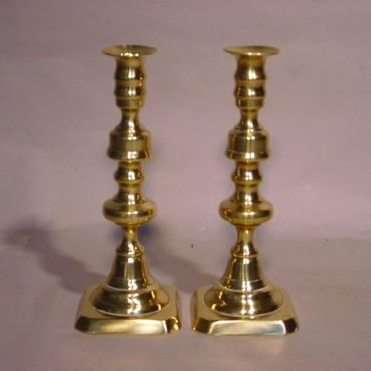 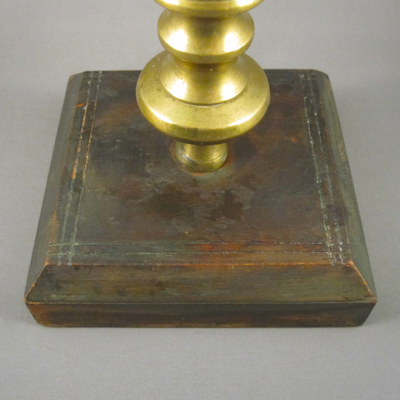 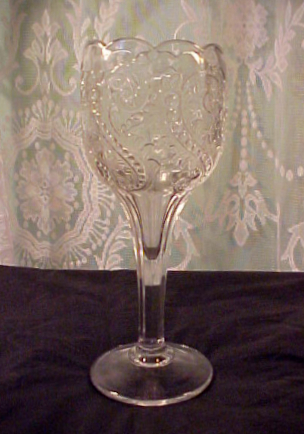 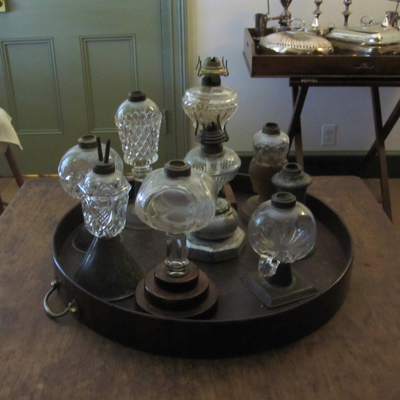 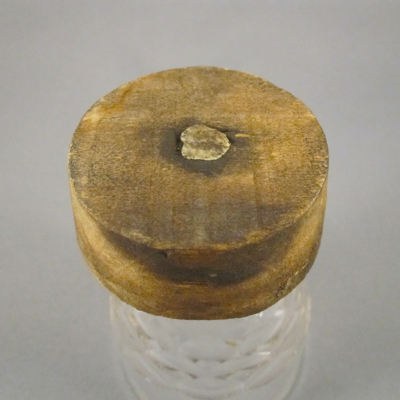 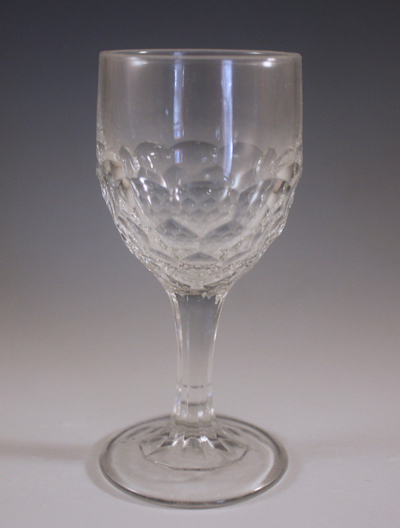 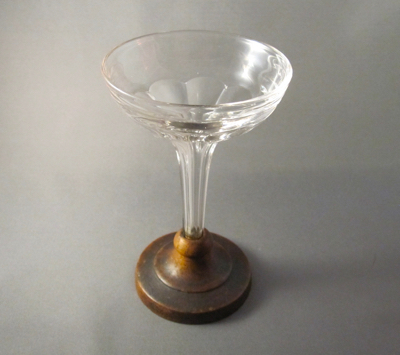 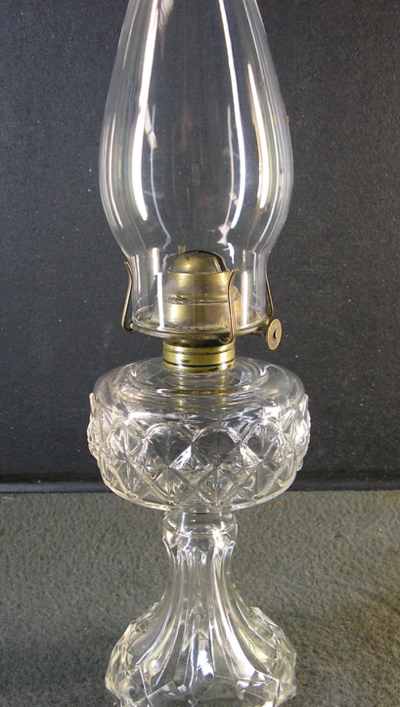 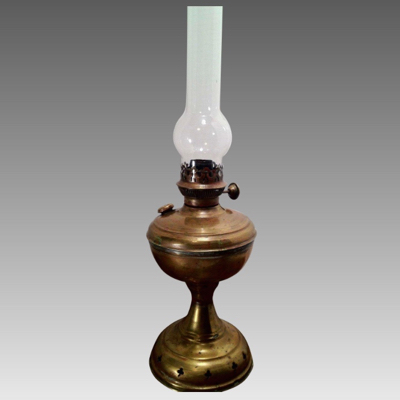 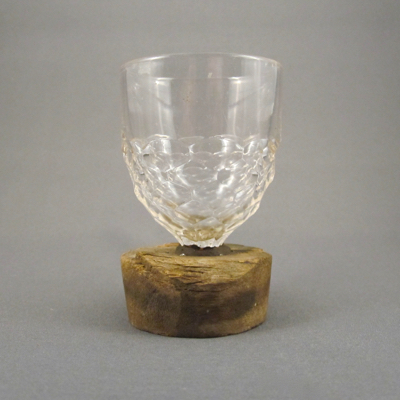 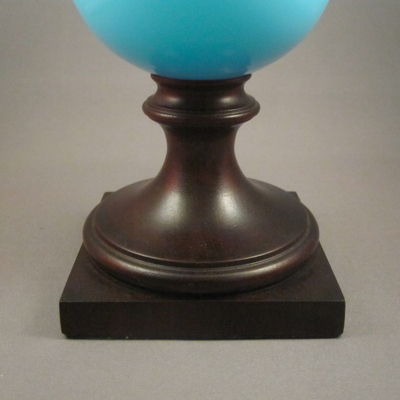 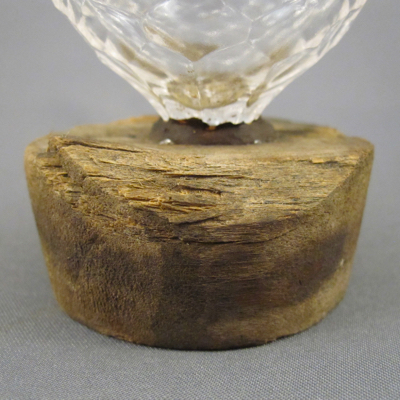 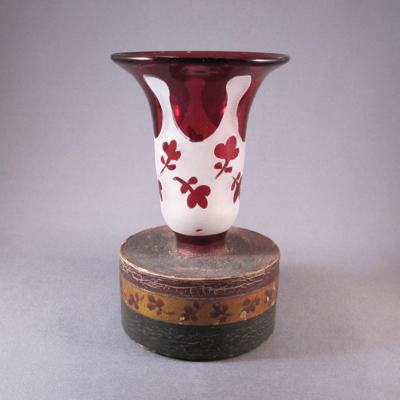 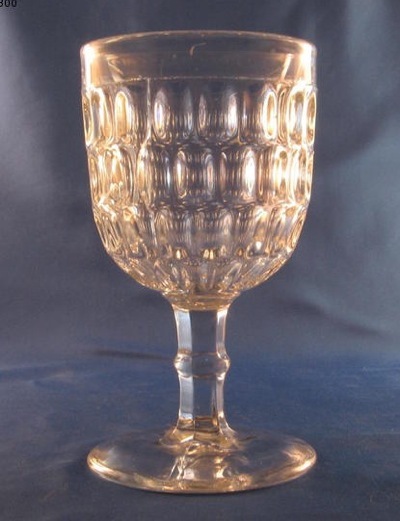 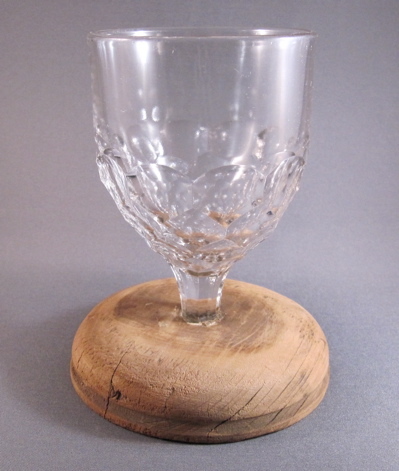 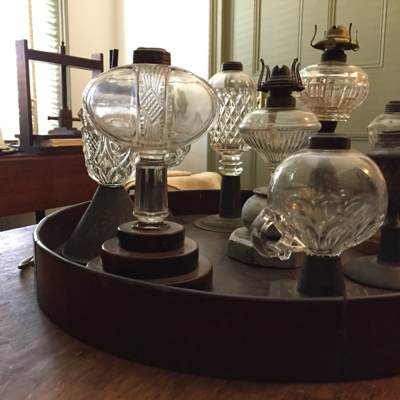 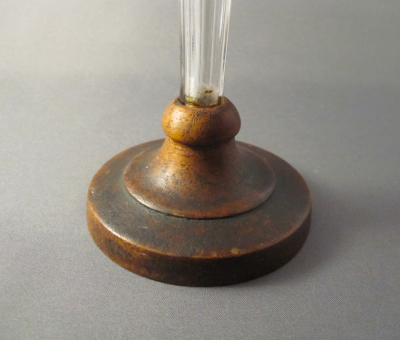 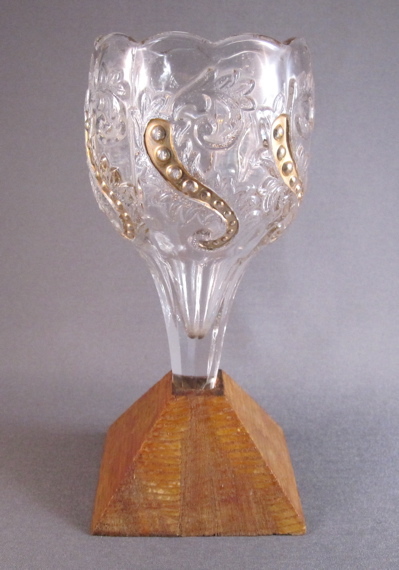 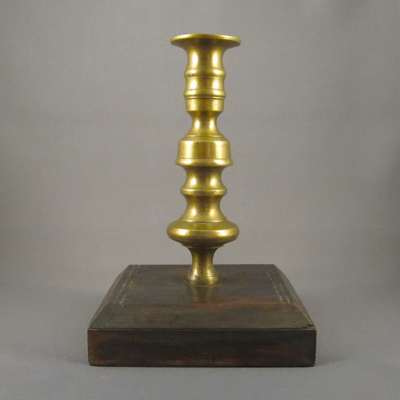 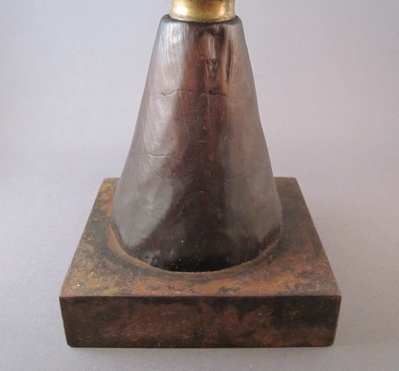 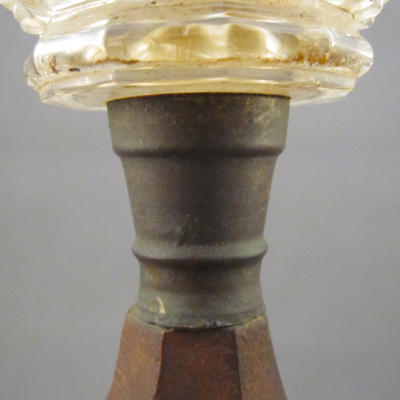 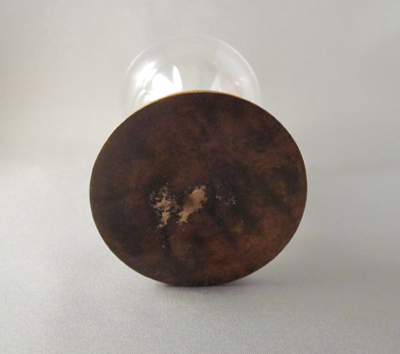 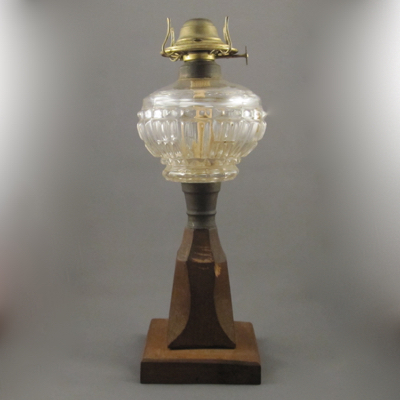 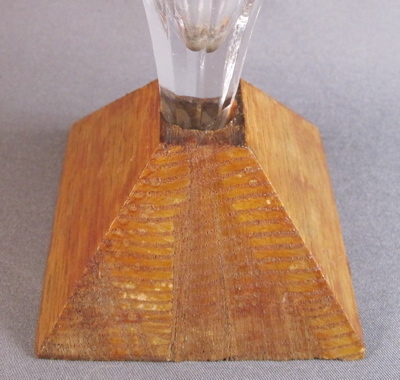 It stands 6″ tall and has an opening of 4-3/8″ and is quite heavy, characteristic of flint glass, which has a large lead content. 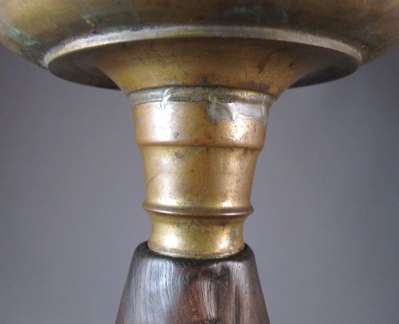 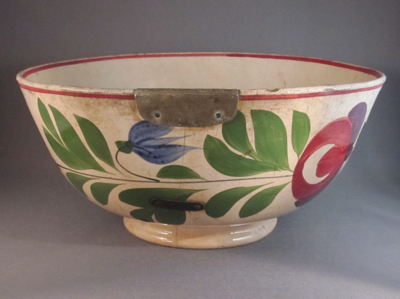 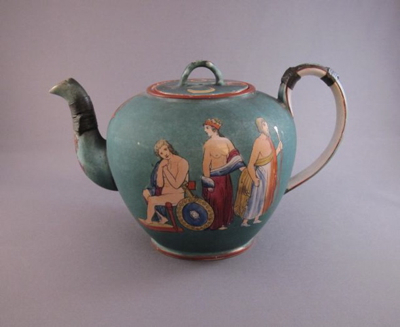 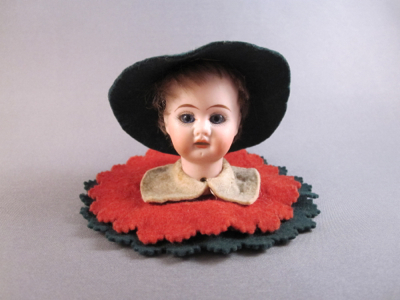 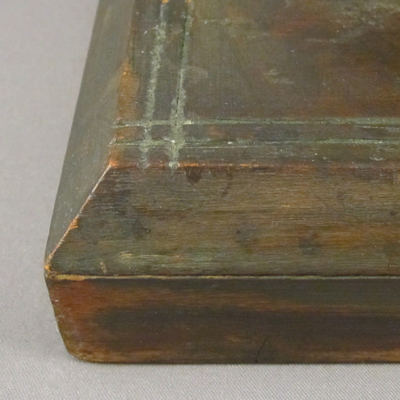 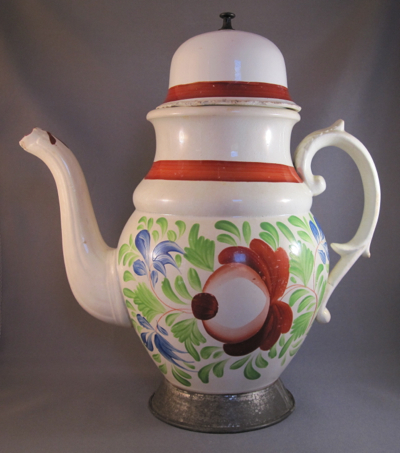 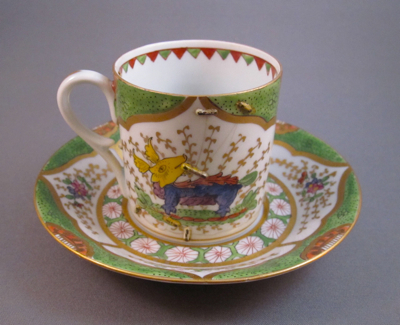 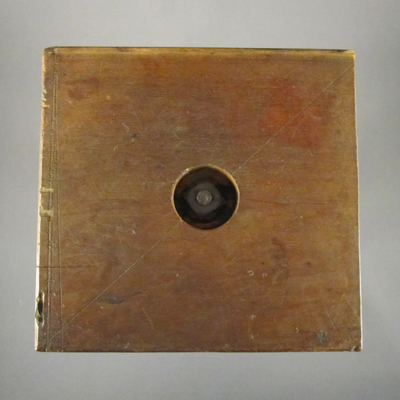 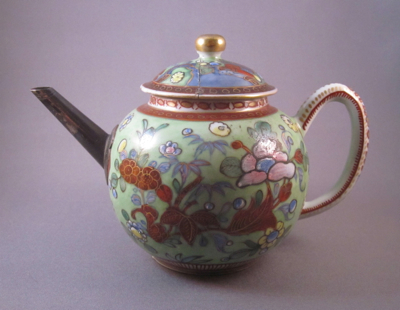 Another characteristic is its durability, though at some point in the 1800s, the sugar bowl slipped out of the hands of its carrier and the base snapped off. 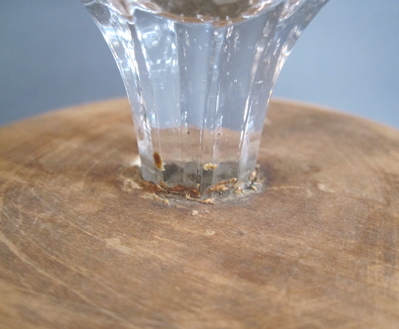 Luckily it wasn’t a salt container, as some believe that spilling salt is an evil omen. 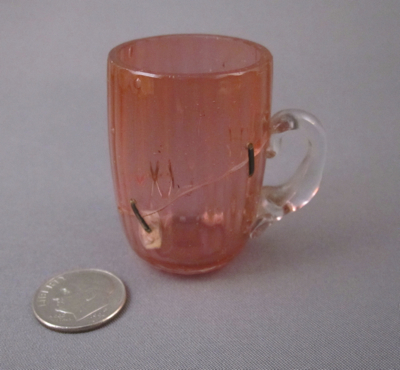 Spilled sugar, not so much. 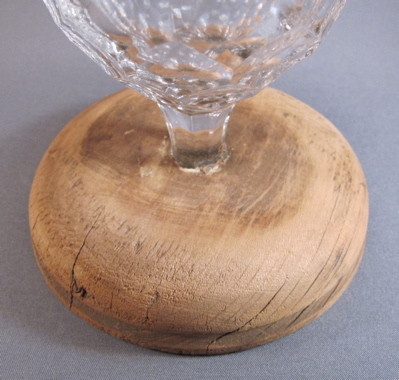 But it seems someone in the house was handy, as a nicely turned wood base was made to replace the broken original base and the sugar bowl was passed around the dinner table once again. 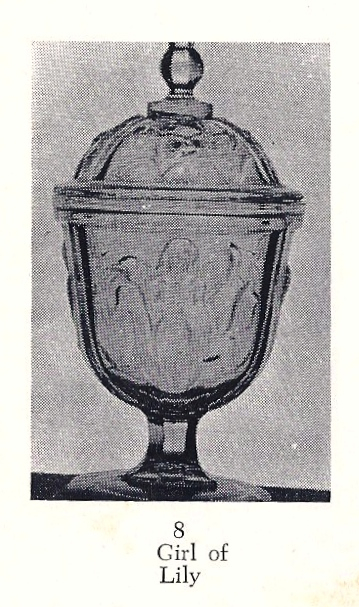 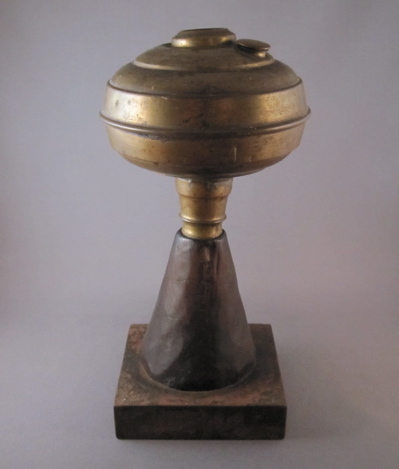 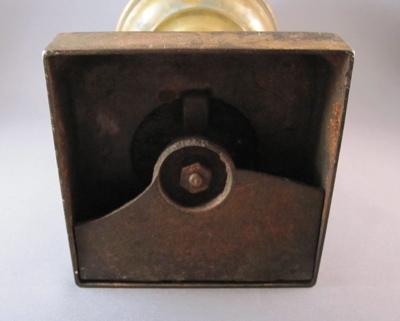 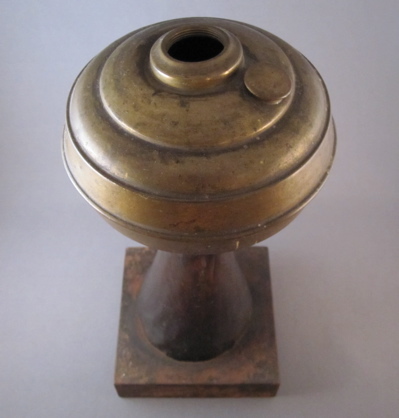 This photo shows the sugar bowl intact with the original lid and base.